At least he plays courses he owns. 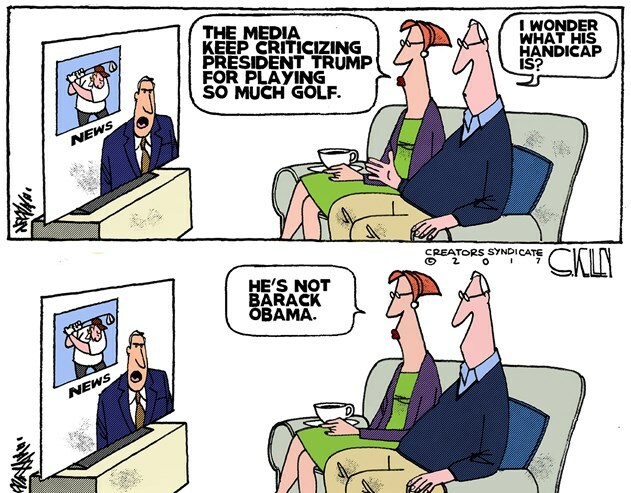 The tax payer doesn’t have to pay his greens fees. I also noticed that POTUS and his family vacation at the lovely Fla. home they own (who wouldn’t),so tax payers aren’t picking up resort fees for the entire traveling bunch. When one thinks of the hotel bills run up by Obama,his wife’s family, friends and the secret service it’s horrifying. Maybe billionaires is the way to go. The homes they own are nicer than any resort and large enough to support the secret service.